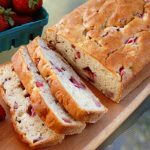 This scrumptious quick bread with fresh strawberries, mashed bananas, and cream cheese will have your family and friends begging for more! Preheat oven to 350 degrees. Grease and flour two 8 x 5-inch loaf pans; set aside. In a medium bowl, whisk together the flour, baking soda, baking powder and salt; set aside. In a large bowl, using an electric mixer, cream the butter and cream cheese together until smooth and creamy. Gradually add the sugar, beating well to combine. Add the eggs, one at a time, beating well after each addition. Add vanilla extract and mashed bananas. Beating on low speed, gradually add the flour mixture to the butter/cream cheese mixture, beating until just combined. Fold the strawberries into the batter. Divide batter between the prepared pans, spreading evenly with a spatula. Bake for 50-60 minutes (shielding with foil for the last 15 minutes of baking if needed to prevent over-browning) until a toothpick inserted into the center of each loaf comes out clean. 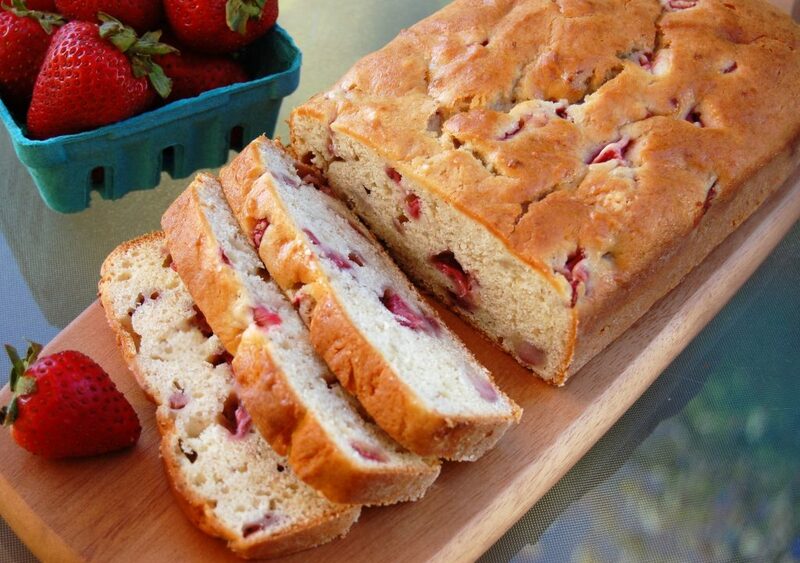 Remove pans to a cooling rack, cool bread in pans for 10 minutes. Invert bread directly onto racks to cool completely.